Skilled Periodontists and Dental Implantologists Steven B. Oken, DDS and Michael T. Cote, DDS practice the full scope of periodontics with expertise ranging from dental implants to cosmetic periodontal surgery , gum grafting and crown lengthening . Dr. Oken and Dr. Cote can correct a wide variety of periodontal (gum) disease conditions to save your teeth. Our treatment philosophy is to achieve optimum long term clinical results with a minimal amount of therapy and office visits. We use the latest state of the art techniques, including Lasers, and provide a comfortable, caring treatment environment in all phases of therapy. We have a clean, modern, hi-tech facility and use advanced sterilization techniques. We participate with many dental insurance plans and have a Spanish speaking staff. We also have free, easy parking in our patient parking lot. Our office is located at 1550 Pelham Parkway South, Bronx, NY 10461. Free parking is available on the street or in our private parking lot located at 1680 Stillwell Avenue (at the corner of Pelham Parkway South and Stillwell Avenue, on the left side of the street). Please contact our office today with any questions! Dental implants are changing the way people live. With them, people are rediscovering the comfort and confidence to eat, speak, laugh and enjoy life. For more information about dental implants or to schedule a consultation appointment, call our office in Bronx, NY at Bronx Dental Implants & Periodontics Phone Number 718-597-8457. 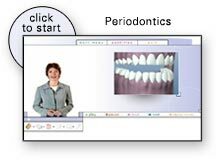 For more information on dental implants and a video presentation, click here. These procedures are a predictable way to cover unsightly, sensitive, or exposed root surfaces and to prevent future gum recession. If you are unhappy with the appearance of short unsightly teeth this can be greatly improved by a combination of periodontal procedures by Dr. Oken and Dr. Cote and cosmetic dentistry by your dentist. For more information about cosmetic periodontal surgery or to schedule a consultation appointment, call our office in Bronx, NY at Bronx Dental Implants & Periodontics Phone Number 718-597-8457. Dr. Oken has been certified in Implant surgery and has been successfully performing implants for over twenty years.Dr. Dr. Cote received the Samuel Charles Miller Award for the highest degree of knowledge and skill in the science of Periodontology. Dr. Cote was awarded the Arthur N.